If you are looking to indulge yourself, then look no further. As the only suite hotel on Eilat’s northern beaches the Astral Palma offers a unique opportunity to enjoy the peace and tranquillity of the northern beaches, not to mention the stunning view; while at the same time taking full advantage of our private marina providing a variety of water sports and activities such as sailing, kayaking or a pedal boat. 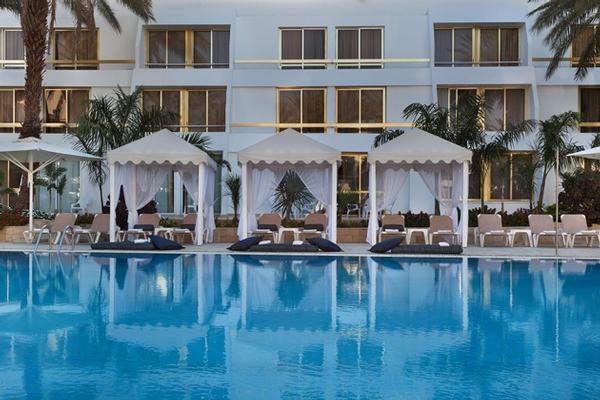 Our pool is located in a central patio, surround by lush greenery with secluded spots and comfy chairs and sunbeds. 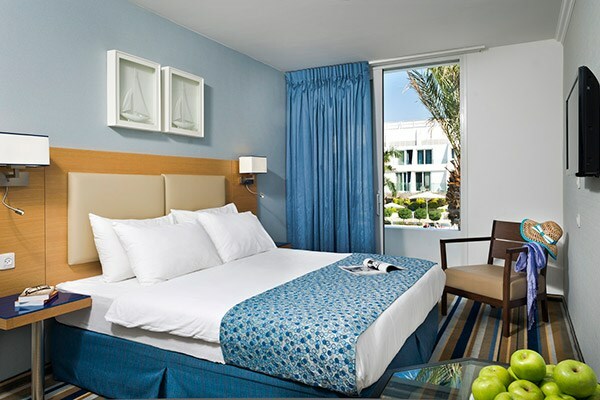 We have a selection of 152 spacious and well, appointed rooms and suites to meet the needs of our guests. 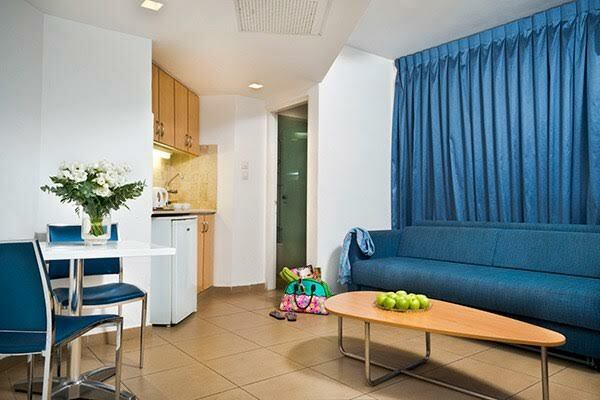 Whether a lone traveller, a couple, a family or just friends vacationing together, we are here to provide you with the ultimate Eilat experience. Children will love our kids Club Astraland while you can choose to enjoy a variety of activities or just relax by the pool. Of course the city of Eilat with its many attractions is only ten minutes away. JUNIOR SUITES POOL VIEWWith our Garden Junior suites you will enjoy immediate access to the pool area in addition to the additional space and comfort. 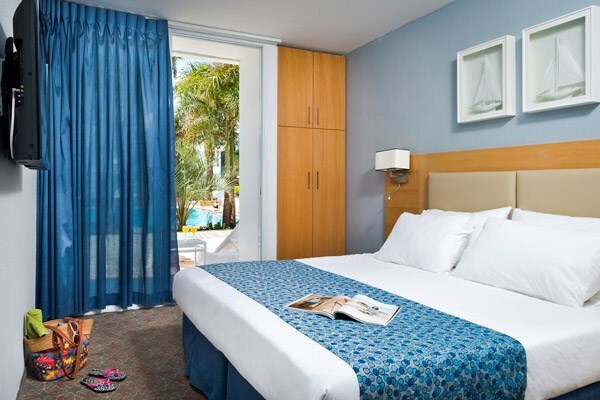 The Garden Junior Suites, accommodate 2 adults with 3 children or 4 adults. 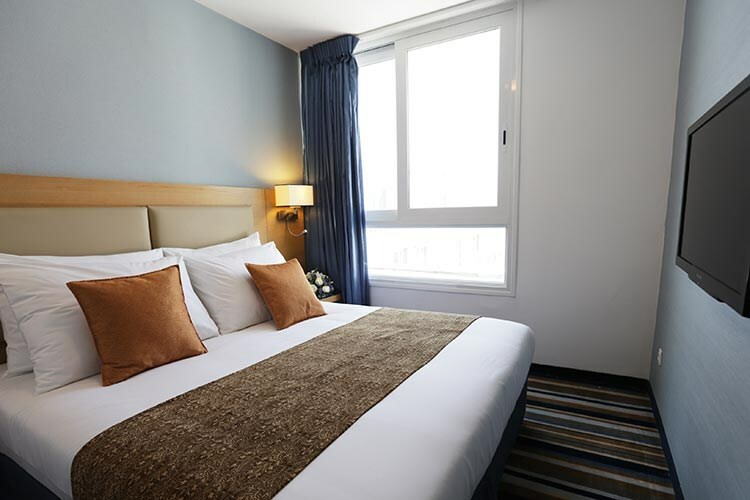 Junior Suites comprise a bedroom with a large double or twin beds and a living room with a double sofa bed and possibly an armchair which open into a bed (depending in the number of guests). 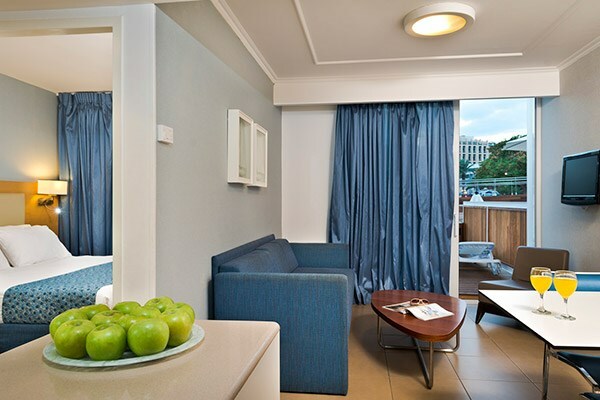 The suite also has a dining room, an LCD cable TV, a mini fridge, kettle and complimentary tea and coffee. 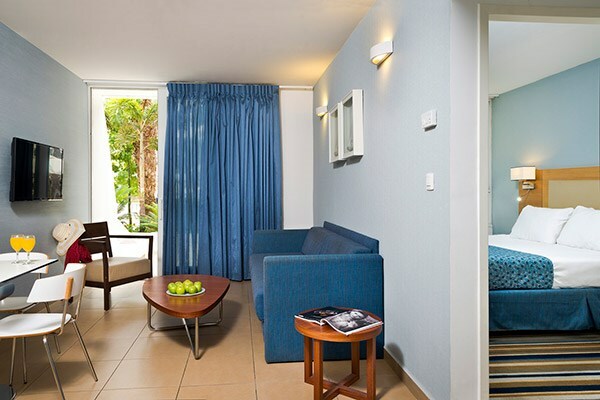 STANDARD ROOMSOur standard rooms accommodate a lone traveller or two adults. 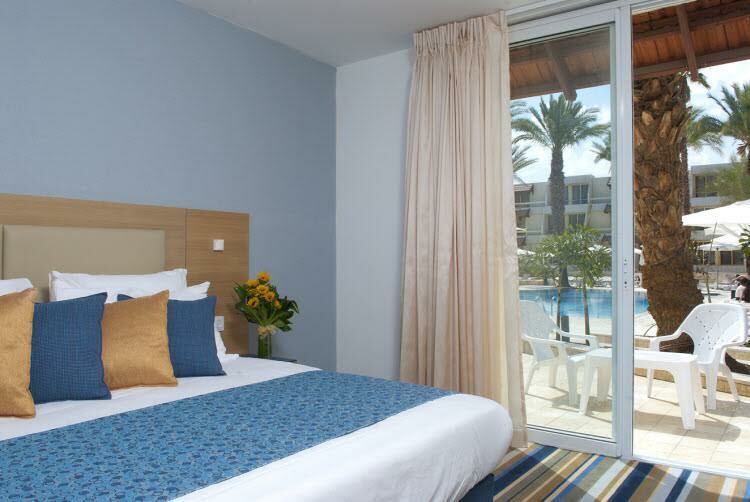 Each room is air conditioned, with a large double bed. There is an LCD TV and a mini fridge along with a kettle and complimentary tea and coffee. 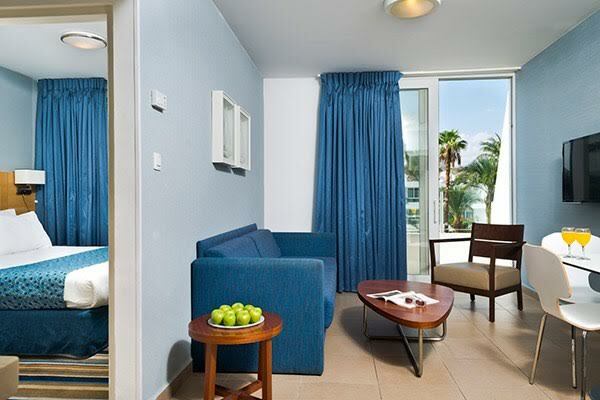 There are a number of standard rooms at garden level by the pool. Please contact us regarding availability, as they are very popular with guests.